Hey all you teenage girls out there! My study tips article “Get smart! 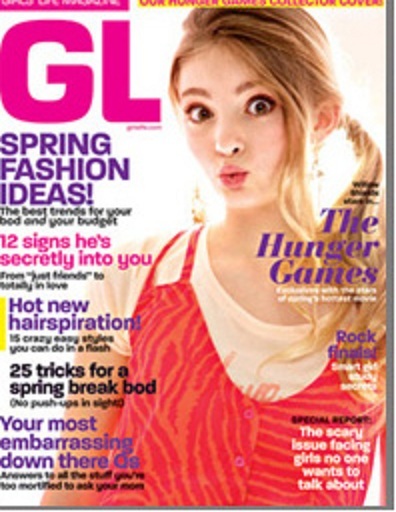 Six ways to rock the end of the semester” is in the new issue of Girl’s Life Magazine! This is the first time I was able to walk into a Barnes & Noble and buy something with my name in it – and it’s a pretty cool feeling. See where it says “Rock Finals!” on the right? That’s me! In this article, I talk about easy things you can do to get better grades – things like taking naps, snacking during exams (if your teacher lets you, of course), and answering test questions out of order. In case you were wondering, I’ve used all the techniques I wrote about – and I wouldn’t have been a top student without them! « Does Finland have the best educational system in the world? Congratulations. Quite an accomplishment and an important area for girls 9and their parents!) to read about.